Hello and welcome! 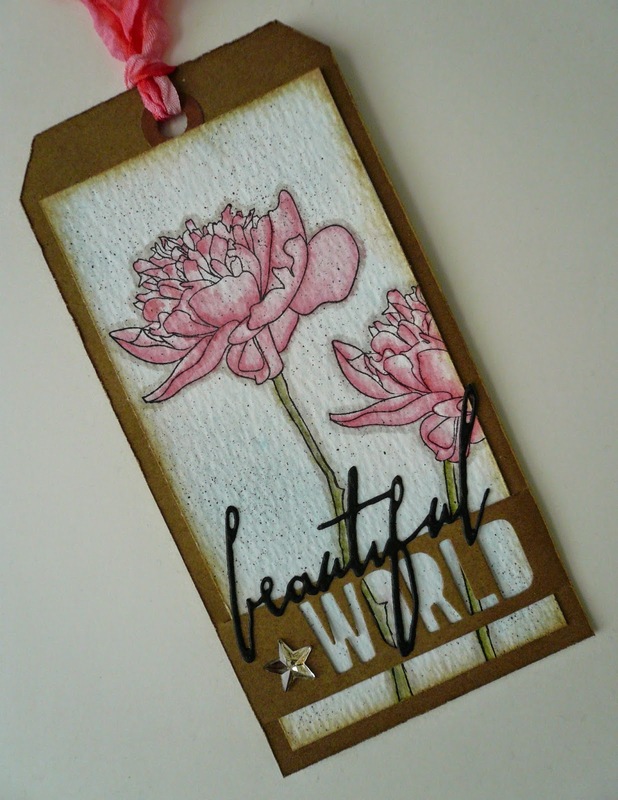 Today I'm sharing my project inspired by this month's tag by Tim Holtz. Love the watercolor technique that Tim used. I tend to be a perfectionist so coloring outside of the lines usually makes me a little crazy. Well I just let it go and embraced the idea. I've got to do this more often! Thanks for stopping by!